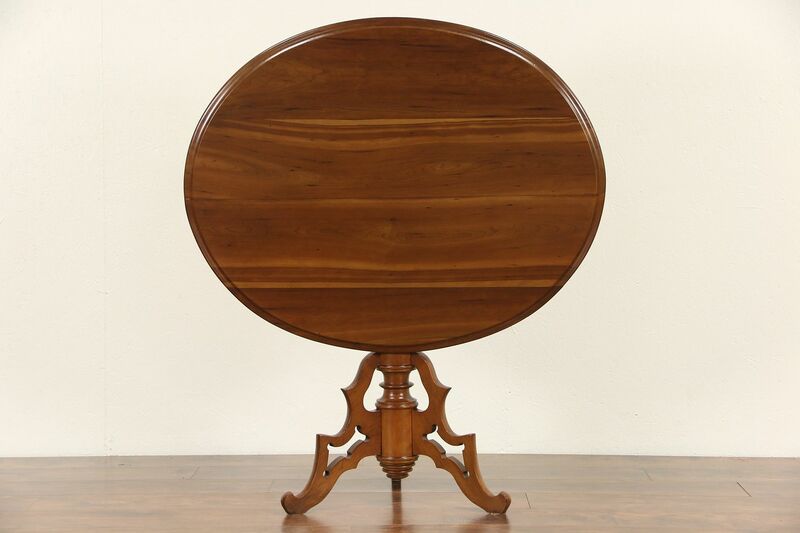 Carved of solid cherry in the 1840's, an oval tea, breakfast or game table has a tilt top to stow away in a corner. The finish is in excellent condition on richly figured grain. American made antique furniture, measurements are 42" long, 34" wide and 30" tall.